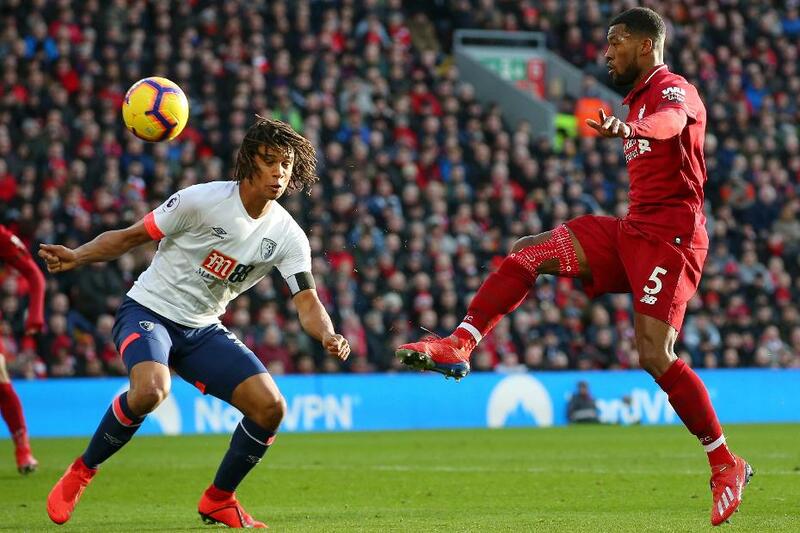 Georginio Wijnaldum's superb lob helped Liverpool beat AFC Bournemouth 3-0 and return to the top of the Premier League table. Sadio Mane opened the scoring in the 24th minute at Anfield, heading in James Milner's right-wing cross. Liverpool doubled their advantage 10 minutes later from Wijnaldum's pinpoint lob after Andrew Robertson had played him through. Three minutes after the break, Roberto Firmino's flick set up Mohamed Salah to make it 3-0 for his first goal in three matches and his league-leading 17th of the season.